It seems like weather predictions for the coming winter are beginning earlier and earlier every year. They used to come out in early October, then it was September, now they are appearing in mid-August. The early release of the Old Farmer’s Almanac hit the major media a couple weeks ago. You can buy it in stores beginning this week. Or, if you have to write a column about it, like me, you could buy the pre-release digital copy. It seems odd to me to be previewing the winter, when I haven’t even had the chance to review the summer. After all, fall doesn’t officially begin for another three weeks. But, here we go! The various Farmer’s Almanacs are just one way to get a leg-up on what the winter might be like. The Climate Prediction Center, a division of NOAA and the National Weather Service is another source. El Nino has dominated the weather limelight this summer, and certainly the current and predicted state of the El Nino weighs heavily in the long-range outlooks for this winter. You can get updated on what I wrote recently about El Nino by searching the archives on the JH News and Guide website, or on my mountainweather blog page. The short story is, it looks like the current El Nino will continue through the winter and early spring. NOAA expects it to become stronger and peak in November or December. Previous strong El Nino events have brought above average snowfall to the Sierras and the Southwest United States. I analyzed all of the long-range outlooks from the Climate Prediction Center (CPC) for the winter months, broken down into three overlapping three-month categories, namely: November-December-January, December-January-February, and January-February-March. I also compared what is known as their “Three-Class” version and their new experimental, and as yet “unofficial”, “Two-Class” version of these outlooks. I like the new 2-class version, because it is simpler and less ambiguous than the 3-class version. Basically, the 2-class version establishes what is “normal”, or average, by using historic weather data from 1981-2010. They pick out the coldest and the driest 15 years, and the warmest and the wettest 15 years. From there, forecasters then estimate which regions of the country they believe will be well above or below these averages and assign probabilities. For instance, a 60-percent probability that it will be warmer than normal, means there is a 40-percent probability temperatures could be below normal. If they are unsure, then it is a coin-flip, 50/50 chances of being above or below, or what they call EC “Equal Chances”. Suffice it to say; no matter how you slice it, all versions of the CPC outlooks are bleak for the Northern Rockies. The overall picture they are painting for our area is for warmer than normal temperatures and below normal precipitation from November through March. However, the probabilities of that happening are generally around 60-percent. Doesn’t that give us a 40-percent chance of it going the other way, colder and snowier? Think positive! When I opened up my digital version of the Old Farmer’s Almanac, the familiar yellow-jacketed almanac you’ll see in Stone Drug or in your favorite grocery store this week, I found that it doesn’t do us any favors either. Their big color map of the U.S. has all of Idaho, Utah, western Montana, western Wyoming and western Colorado categorized as, “Mild and Dry”. This almanac’s forecast has the Cascades of Washington, Oregon, and northern California under, “Cold and Snowy”. Should I pack my bags for Mt Baker or Mt. Hood? Not so fast. In the 2016 edition of the Farmer’s Almanac, the orange and green-jacketed almanac, they are calling for, “Very Snowy and Typical Winter Cold” for Montana, Wyoming, and Colorado. Bingo! Let’s run with that forecast, it sounds so much better than the doom and gloom of all the others. Buyer beware! These are long-range outlooks, which I would liken to reading a fairy tale. Good or bad, it does not necessarily mean the predictions will come true. Computer models generate much of what goes into these forecasts. I work with computer models everyday, and I can tell you that there are plenty of days that the models can’t get it right, for just 24-hours into the future. Naturally, I am a little skeptical of any model that predicts weather conditions 3 to 6 months into the future. Take a deep breath, don’t worry, be happy, it will get cold this winter and it will snow. Some winters are better than others, and I would never write this one off before the first snowflake has even had a chance to fall. 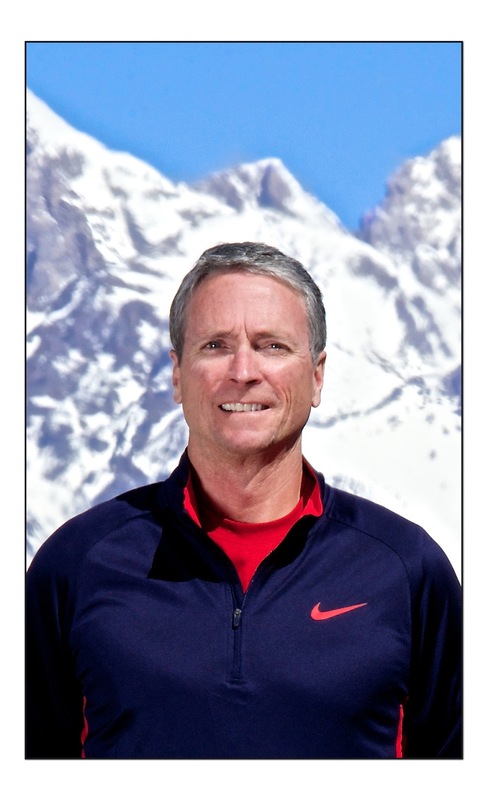 Jim is the chief meteorologist at mountainweather.com and has been forecasting the weather in Jackson Hole and the Teton Mountains for almost 25 years.